Journey to Freedom is an eight-week group led by trained facilitators, offering a safe and encouraging place for participants to step out of contemplating change and into real action. With honest dialogue directed towards laying a foundation for change, Journey to Freedom creates a common language so that all can share without fear of judgment. 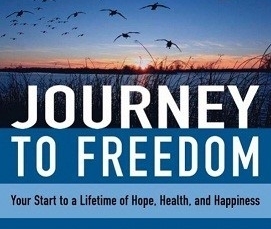 Journey to Freedom provides an opportunity to make changes to anything that causes dissatisfaction in your life. Participants address challenges related to their relationships, family dynamics, careers, food and body image issues, grief, anxiety, addiction, and much more. The groups will be facilitated by Hope Clinic counselors and are open to anyone age 18 or older. Space is limited to 7-12 participants per group. Cost is $115 for the whole group, including the book (sliding scale fee application available). Please Email Alex McCandless for more information, or call 615-627-2792.